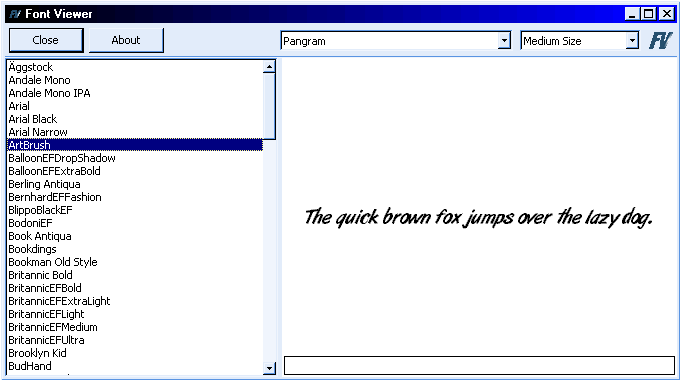 Font Viewer quickly displays all the fonts installed on your system. How to extract: Download the ZIP package and extract to a folder of your choice. Launch fontvwr.exe.